Dubai, UAE – 23November 2017: Mahindra Comviva, the global leader in providing mobility solutions, and Du – UAE have won the CommsMEA Award in the ‘Best Content Offering initiative of the year.’ The CommsMEA Awards were presented recently during a gala dinner at the Grosvenor House – Dubai. Mahindra Comviva manages Du’s end-to-end digital content offerings such as Movie Portal, Mobile Games, Mobile Contest, WAP services, OTT app aggregation, SMS alerts etc along with extended services such as campaign planning, product management, roadmap planning, content operations and sourcing & setting up innovation lab along with technical assistance and monitoring. This offering helped Du to improve overall customer experience. 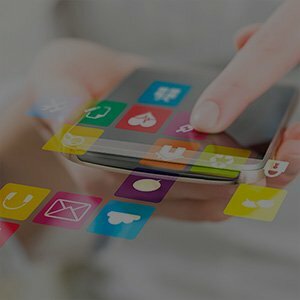 Mahindra Comviva has entered into numerous partnerships with top Content and Service Providers that offer music, videos, games, images and other multimedia content and services catering to various ethnicities like Arab, Asian, Philippines, Spanish and many more languages for the Middle East region. The CommsMEA Awards acknowledge the operators, technology providers and individuals who play a key role in the region’s telecoms sector. The awards also honour companies that have invested in technology, implemented winning strategies and offer services to successfully acquire and retain customers.